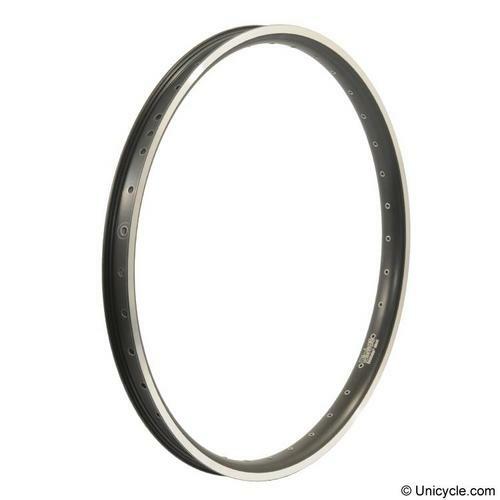 Best vaue hub spoke and 26inch downhill rim advice for an electric bicycle? Discussion in 'Downhill & Freeride' started by geb, Jul 29, 2012. Planning a winter ebike project. Full suspension. 100 percent road. Max 30-35mph. There are some awfully sturdy downhill rims for bicycles today. But I have not kept up to date on bicycling. Rims purposed for downhill are the sturdiest.... yes? I actually might prefer 24 inch tires/rims but that size is much rarer (it seems) in the world of super strong bike components. ...on a strong hub, disc brake, very strong spokes, and sturdiest widest rim i can budget for. This ebike will be much closer in total weight to a bicycle than to a moped or scooter. I cannot budget for top shelf hubs rims and spokes, but I can compromise/trade somewhat on ultra exotic and expensive alloys for a bit of addit weight. But the difference between heavy weight bicycle components and the lightest weight motorcycle components is pretty dramatic. I don't require the robustness of motorcycle rims. Would appreciate any specific recommendations, particularly brands, from the dedicated bicycle crowd here. 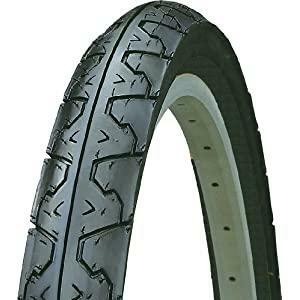 For rim I would suggest the Mavic 729. Wide, sturdy and made out of a better aluminum than most stuff out there. For hubs we cannot give you proper advice before you tell us a little more specs. Only front or rear hub, or both (is either one going to be an electric hub motor?) ? Axle diameter and width? For front hubs a 20mm axle hub will be the strongest, almost all the brands are pretty similar. In rear hubs there are bigger differences, maybe a 12x150mm Hadley is one of the strongest? For spokes your best bet is probably some DT spokes, for example the Champions. Most EBike guys prefer the CrazyBob for on road. I use the HolyRoller for on/off mix, and DHF front/back for off road. 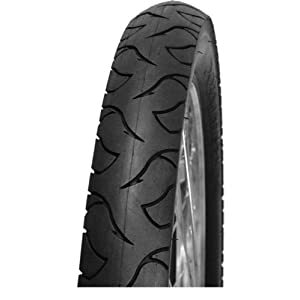 Don't know why you're looking at a 1.95 tire - you can run as wide as your frame permits, as rolling resistance doesn't much matter now. I run 2.7 when available, but ensure that your frame has the requisite clearance. I use a Mavic and a Velocity Cliffhanger on my ebikes, both work fine but I prefer the Mavic. I've got a somewhat unusual design in mind. Should be fun to try anyway. Shaft drive mono-shock borrowing the shaft, ring and pinion, and housing from a Yam QT50 and rebuilding/lengthening the swingarm. That rear geardrive is already supplied with a stout axle and threaded end/nut. 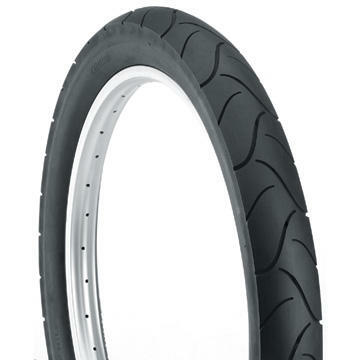 I will probably go with a lightweight motorcycle (moped or 50cc motorcycle) hub on the rear laced to the 36 hole Mavic rim. 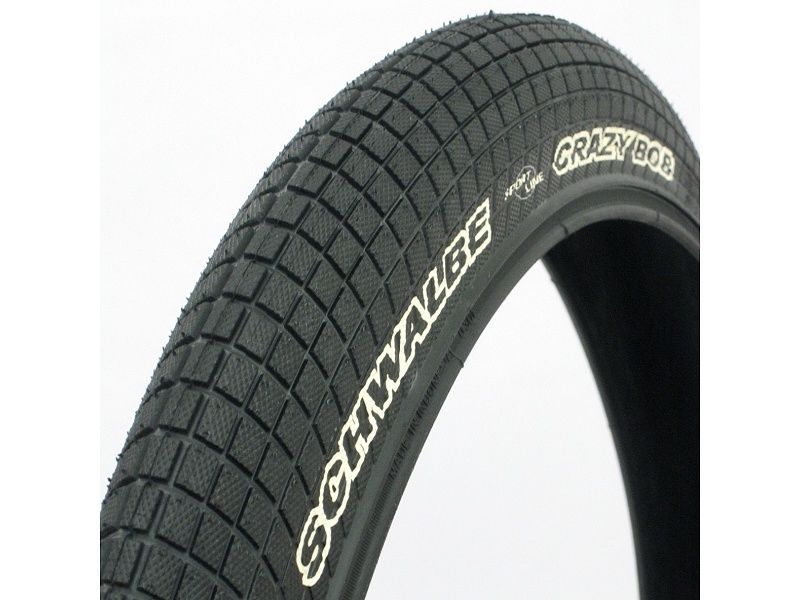 These appear (from ad copy) to be designed for slow-pedaled beach cruisers so the rubber compound and carcass quality may not actually be up to par. Who knows? But they sure look the part anyway. I'll have to sift through some more info at endless-sphere forums to get a better idea on appropriate tires. Perhaps unicycle rims are more to my purpose? 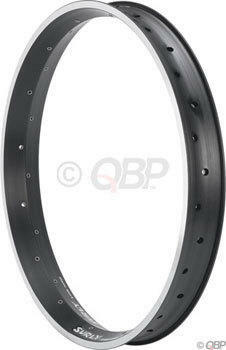 Nice price, 42mm wide, very strong, 36 hole, nice looking. If its for road use i think a dh wheel is massive over kill. Use an xc wheel.